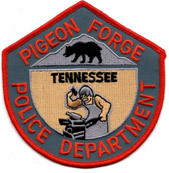 The Pigeon Forge Police Department is proud to make available to the citizens of our community, a program designed to educate participants in the duties of police services, while at the same time forming relationships between officers and citizens that enhance the cooperative spirit of the community. This program places the participants in the front seat with the officer to provide an opportunity for them to capture the true-life actions that are confronted by law enforcement professionals on a daily basis. This course in no way certifies you as a police officer. This is merely a demonstration of some of the duties that police officers are required to perform. During this experience, you will have an opportunity to actually ride-along with an officer on regular duty, and may get to observe on a first-hand basis, traffic stops, alarm response, and answering calls. We hope that you will enjoy our program and look forward to seeing you. An application can be picked up at the Pigeon Forge Police Department, and returned for consideration as a student in our next academy class.